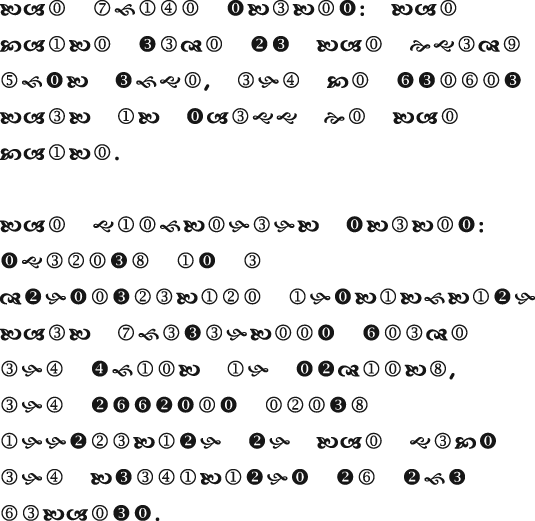 Although these symbol cryptograms may look extra tricky, they are basic substitution ciphers. You can apply the principles of letter frequency analysis to work through these puzzles. To start out, look for the most frequent letter (or symbol) in each cryptogram — you’ll find it’s almost always E. Single-letter words will be A or I. The words THE, AND, and THAT are the most commonly seen short words in English. Double letters and apostrophes are also helpful when cracking ciphers. The last word starts with F.
The second word starts with Y.